Manila, Philippines - Major banks in the country on Sunday, December 22 announced banking hours schedule for Christmas holidays this 2013. On its website, Banco de Oro (BDO) announced that select BDO branches will be OPEN until 1:00PM on December 24. Mall branches will be OPEN until 3:00PM. In addition, all BDO branches will be closed on December 25, 2013. It also advised that banking schedule resumes on Thursday, December 26. The same shortened hours of operation applies on December 30 and 31 and bank closed on New Year's Day. “BDO's ATM network will continue to handle transactions of clients during the Holiday season,” the bank said. 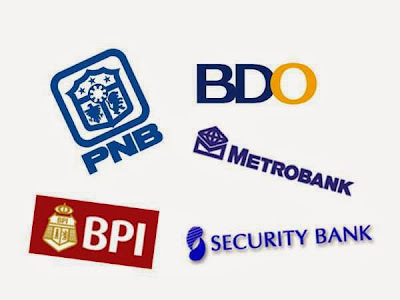 PNB announced thru its official Facebook account that their banks are OPEN on December 24, 25, 28,29, 30, 31, 2013 and January 1, 2014. "All branches shall resume operations on January 2. Only selected branches are open on January 1, 2014. ", PNB said. In an advisory announced on Twitter, it says that December 23, 26 and 27 are regular banking days. On December 23, 2013, all regular branches (except Davao Damosa) are open. Selected BPI branches will be open to serve on December 28 and 30. Please refer to their Holiday branch list here. RCBC also announced its banking schedule and said that they are OPEN on December 24, 28, 30 and 31. Please refer to their website for the detailed banking hours of select branches. Select Chinabank branches are OPEN on December 24, 28, 30 and 31. Please refer to their website for the detailed schedule during the holidays. 168 - December 30 (Monday) 9 a.m. to 4 p.m.
Alimall - December 30 (Monday), 10 a.m. to 6 p.m.
Market! Market! - December 30 (Monday), 9:30 a.m. to 4 p.m. Schedule for other banks (e.g. Metrobank) will be posted as soon as available. Please Like Us on Facebook or Follow Us on Twitter for more updates.